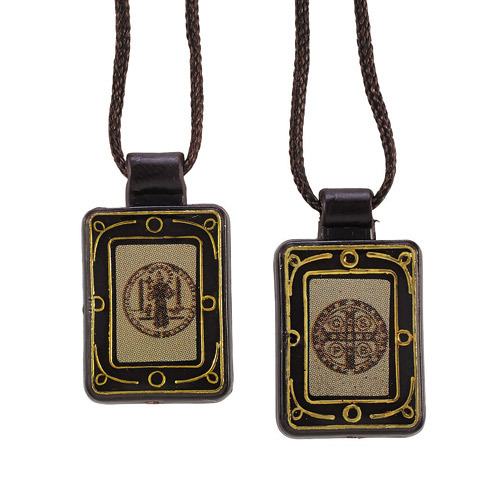 These popular scapular pendants are colorful, durable and very affordable. 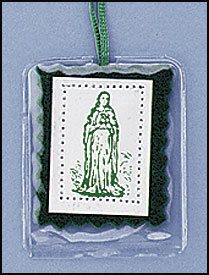 Each features a traditional antique colored Catholic image inside a plastic casing for protection. Perfectly priced for giveaways! 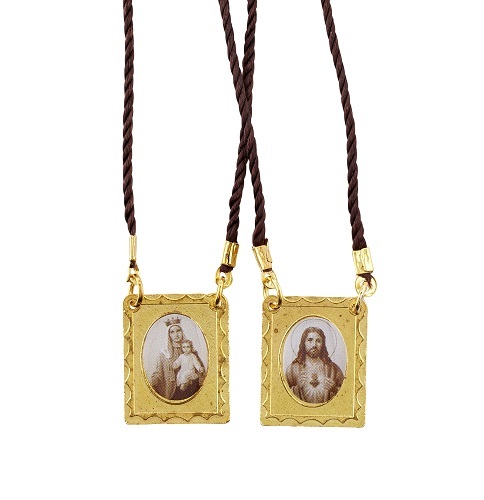 We have only a few of these available - less than a dozen!